We conducted a quick search on this issue to discover that many people are still encountering similar errors such as “iTunes has an invalid signature, the download has been removed” after downloading the latest version of iTunes on the Windows computers. However, we’re also happy to announce that our research yielded some viable solutions to fix the error. The following are the reasons why you’re getting the error when updating your iTunes. You PC can’t detect the digital signature to download iTunes. Moreover, our research showed that digital signatures are very important in Windows Operating System because they‘re used to authenticate every application to protect you from virus. Windows security features and settings may be conflicting with iTunes digital signature thereby displaying the error message “iTunes has an invalid signature, it will not be installed”. If you’re still using Windows XP, then the version of iTunes you’re downloading may not support Windows XP. Your iTunes digital signature may be invalid or outdated. You may have uninstalled iTunes and Apple folders wrongly. If iTunes has refused to install due to invalid signature error, then try the following tips to fix it. We’re going to serve the best dish first – iMyFone TunesFix. This software is the best software/third-party tool for fixing all iTunes errors and issues on Windows 10, 8, 7, XP or Mac computers. 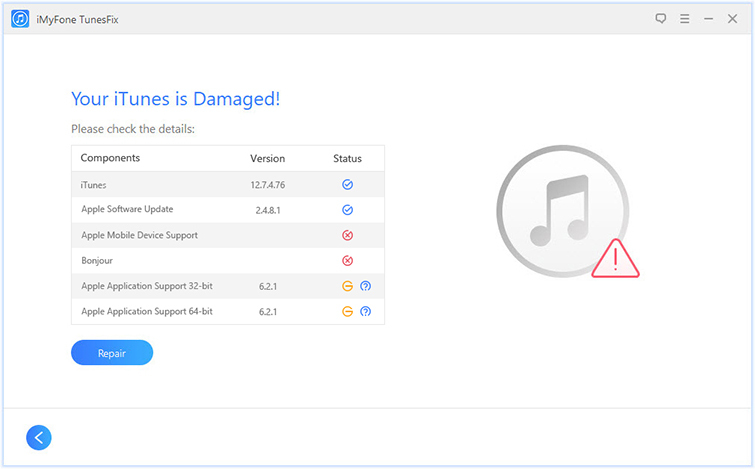 TunesFix will easily and efficiently remove or uninstall every iTunes component software that’s causing the error. iMyFone TunesFix is a permanent solution to “iTunes has an invalid signature” error. TunesFix features can solve 100+ iTunes errors such as install, update, and other errors. TunesFix will bot corrupt or tamper with your iTunes backups or overwrite existing iTunes libraries when fixing your iTunes. It can clean up needless files in iTunes to boots is speed and optimize its performance. Step 1. Download and install the official version of iMyFone TunesFix on your Windows 10, 8, or 7 PC. Step 2. Launch iMyFone TunesFix to begin the process of fixing iTunes, and it will automatically detect your iTunes and its component. If there is no issue with iTunes, TunesFix will redirect to the Home interface. Step 3. Choose the repair mode “Fix iTunes Install/Update Issues” and click “Repair”. In Windows 10, all downloads are screened using digital signature before they are allowed to be stored in the computer. If the iTunes signature is invalid or outdated, then the download will not continue. Changing the security settings will help to allow iTunes to install, but it’s not good to leave this feature turned off after downloading iTunes because it can create room for malicious files. Step 1. Press the Windows and R buttons on your keyboard. Type in “inetcpl.cpl” and click “OK”. Step 2. Click the “Advanced” tab at the top right corner, and scroll to “Security”. Step 3. Check the box close to “Allow software to run or install even if the signature is invalid”. Step 4. Choose “Apply” to save your changes, and then restart your computer. Step 5. You can open iTunes to see if it will update after this fix. Go to “Help > Check for Update”. 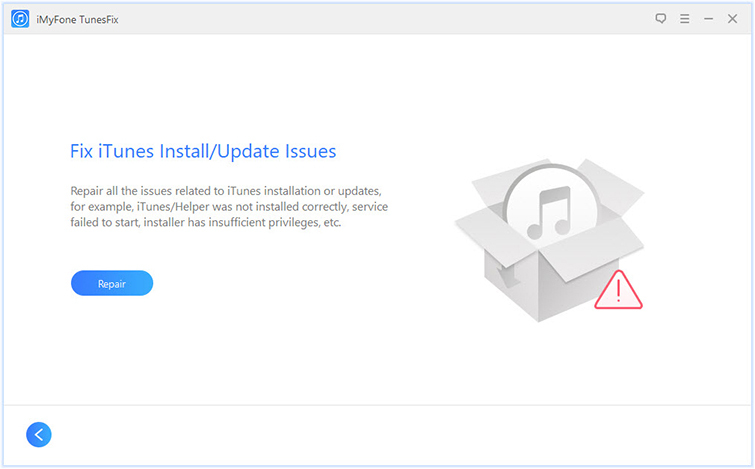 If you uninstall iTunes and its software components in the wrong order, you will start experiencing issues like invalid signature errors when updating the new iTunes. So, it’s better you use a professional iTunes uninstaller tool; iMyFone TunesFix to remove iTunes, iTunes software and all iTunes needless files before downloading an updated version of iTunes manually. Step 1. Launch TunesFix on your PC, and click “Full Uninstall” Mode. Step 2. 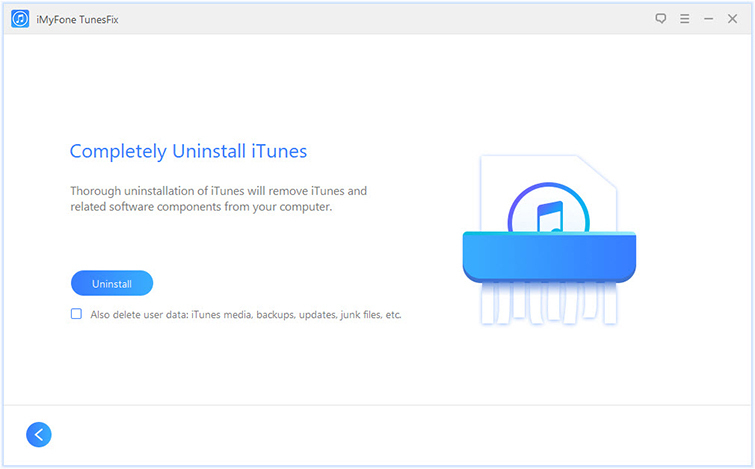 Click “Uninstall” to completely remove iTunes. Step 3. Log on to Apple’s official download website to download iTunes. Step 4. Right-click the downloaded file and select “Run as administrator”. Follow the on-screen instruction to install iTunes manually. iMyFone TunesFix is the way to go if you want to fix iTunes has an invalid signature error. So, download and install this software to successfully update and install iTunes on your Windows computer.